I scratched my head for a while trying to figure out how do you make low carb coconut fried shrimp. This coconut shrimp recipe has four main ingredients that are all whole 30 compliant, Paleo and Keto friendly. If you follow Keto, whole 30 or a Paleo diet coconut flour should be a staple in your pantry. I recommend Bob’s Red Mill Organic Coconut Flour because it has no preservatives, additives or chemicals. Bob’s Red Mill Organic Coconut Flour is also high and fiber, grain free, gluten free. Making it the perfect substitute for regular flour. The coconut flour doesn’t have a strong coconut flavor, so we still have to add coconut for flavor and of course a nice crispy coating. You will want to grab some unsweetened coconut flakes. If you have a Trader Joe’s nearby you can find it there, or you can grab Trader Joes’ Unsweetened Coconut Flakes here on Amazon. Since the coconut flakes are unsweetened you’ll add a little Lakanto Monk Fruit Sweetener to the coconut flour mixture. If you are looking for a Keto friendly sugar alternatives check out Lakanto and you can use my affiliate code MERMAID for a discount! 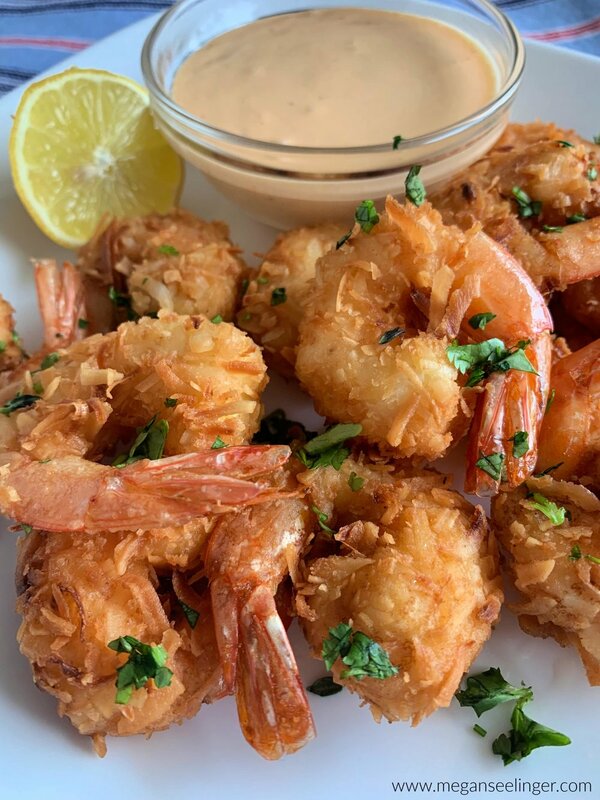 My husband loves making these Keto Coconut Shrimp in the air fryer. You follow the same easy assembly directions and then air fry on 380 for about 12 minutes or until they are golden brown. Making them in the air fryer is super easy and adds a little extra crisp! First, you need to heat the coconut oil for frying, so in a medium sauté pan over medium-high heat add about 2 inches of coconut oil. You want to make sure the oil is hot (about 350 F) before adding the shrimp. If you don’t have a way to check the temperature you can test it by getting your hand wet and flicking the water on the oil, it should kind of sizzle. Once the coconut oil is hot place your shrimp in the oil and cook for 1-2 minutes on each side, the shrimp cook quickly so don't let them cook too long. You can use frozen raw shrimp thaw them out before starting the recipe. You can also use precooked shrimp; however, they will dry out so they will turn out much better if you use raw shrimp. 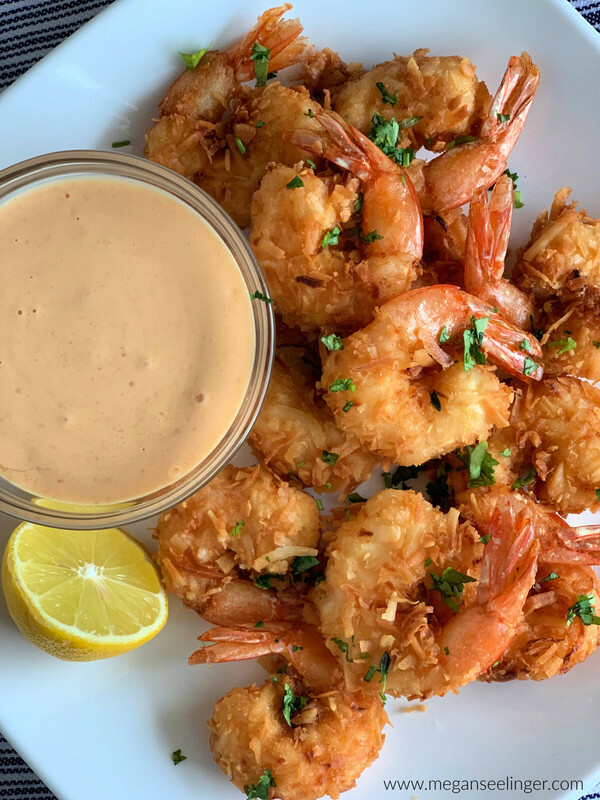 Keto Coconut Shrimp is the perfect Keto appetizer or Keto friendly dinner. You can either pan fry or make them in the air fryer, either way, this is an easy low carb shrimp recipe the whole family, even non-keto’ers will love. Cook for about 12 minutes or until shrimp are golden brown. Nutritional information is provided and I keep it as accurate as possible. 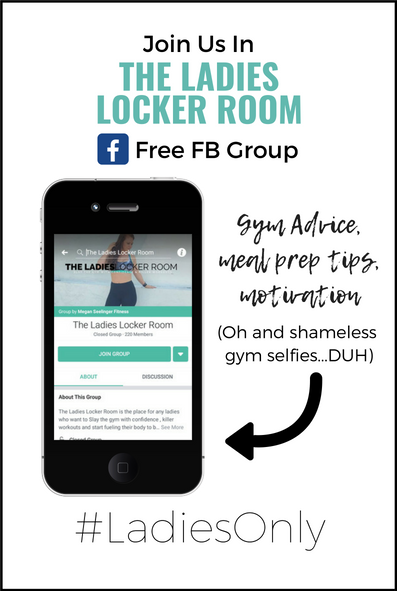 Keep in mind nutrition facts on all ingredients may vary depending on the different brands you may use. I am not a doctor and advise solely from personal experience. Please consult your doctor before adding any supplement or foods to your current diet and Read our full Terms & Conditions.